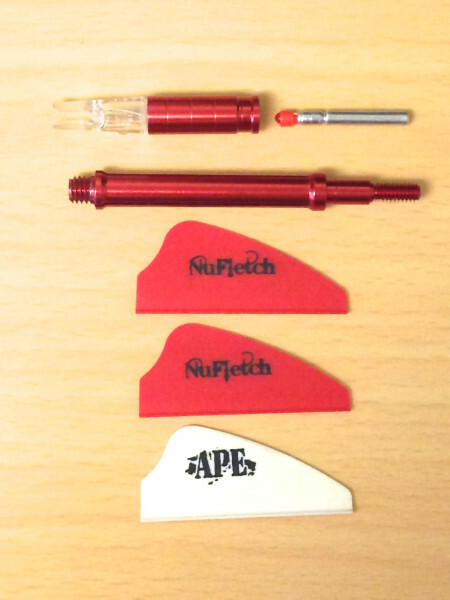 APE Tails install onto your reduced diameter arrow shaft by cutting down the nock end of your arrow shaft approximately 2.75″ . 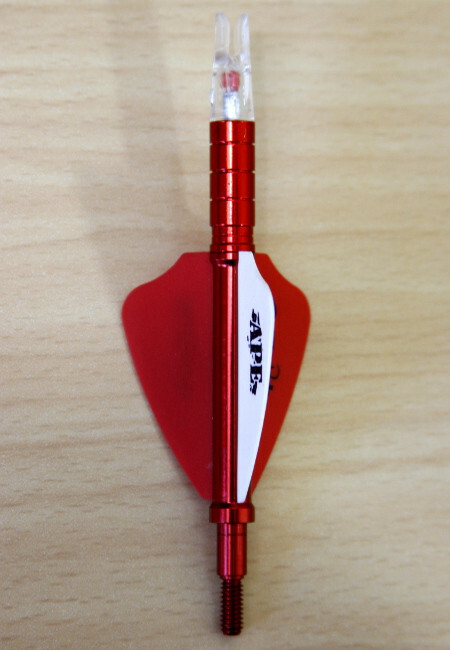 The APE Tail then threads to the shaft using a HIT insert (the same insert the field point or broad head uses to thread to the front of the shaft). 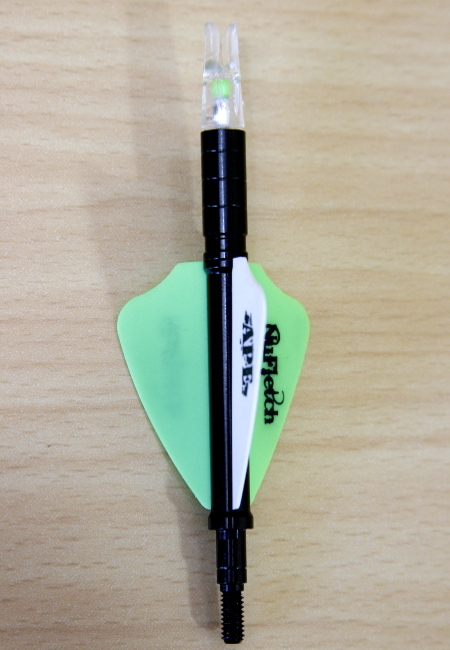 By cutting down the nock end of your arrow shaft approximately 2.75″ then threads to the shaft using the arrow’s required RPS Inserts (Common Aluminum Insert), the same as your field point or broad head uses to thread to the front of the shaft. 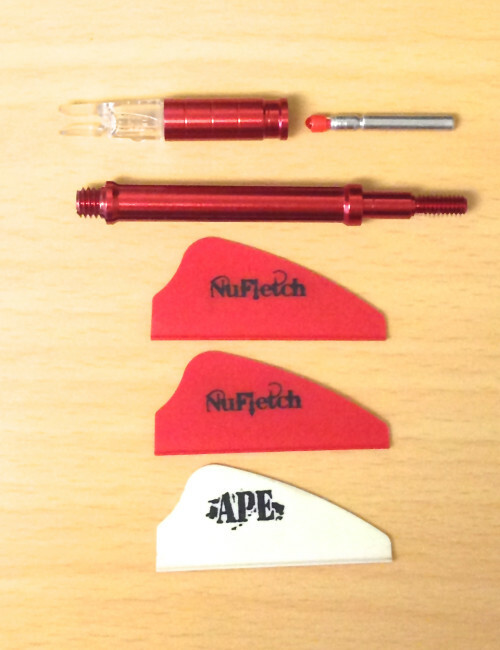 The quick thread end nock caps allow easy single or multiple vane replacement instantly without the use of tools. 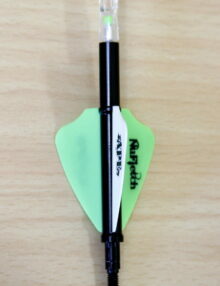 Achieve instant fletching on your arrow and guarantee Flatter shooting, More Accurate arrow with Deeper Penetration!